County commissioners will vote Tuesday on whether to seek a federal approval to expand the coverage within Doña Ana County of what’s known as a Foreign Trade Zone 197, a geographical area that’s treated — for U.S. customs purposes — like foreign turf, even though it’s solidly on domestic soil. By Diana Alba Soular dalba@lcsun-news.com @AlbaSoular 11/24/2013 Las Cruces Sun-News Diana Alba Soular may be reached at 575-541-5443. Las Cruces – Doña Ana County officials are considering a proposal that could create local jobs and spur new capital investment in the county by companies involved in international trade. The move is expected to bolster an already-robust growth spurt centered upon binational commerce in Santa Teresa and a $400 million Union Pacific Railroad yard and shipping facility under construction there. That unique customs structure, when compared to non-FTZ areas in the United States, can give some firms a financial advantage that could prompt them to build a new facility within a Foreign Trade Zone, experts said. Within such a zone, companies can import foreign products without having to immediately pay most U.S. tariffs and duties that otherwise would apply, experts said. Companies do become liable for the fees, however, if a given product or material eventually crosses the foreign-trade-zone line and is bound for a U.S. destination. There are now three FTZs in Doña Ana County: at the Santa Teresa Port of Entry on the U.S.-Mexico border, at a Santa Teresa industrial park a few miles north of the international border and at the Las Cruces industrial park on the West Mesa, according to county documents. However, only one company currently operates at one of the sites, county officials said. The proposed change would take advantage of a relatively new way to set up an FTZ, called the Alternative Site Framework, that’s been offered by the federal government to counties and other local governments since 2008. It would expand the eligible acreage for companies to operate within an FTZ to all of the 3,800 square miles that make up Doña Ana County, officials said. Pacheco, also a contractor for the state who focuses on border economic development, said that flexibility is an key feature in meeting the needs of businesses that are seeking a place to locate. Companies would still have to seek a federal OK for their specific projects. The proposal also would streamline the process for companies and slash the fees they must pay to the federal government, county officials said. Pacheco gave an example for how a company might benefit from an FTZ. But, instead, those products are shipped, duty-free, into an FTZ, transformed into the automotive part and shipped into Mexico. “I never pay duty,” Pacheco explained. Doña Ana County would benefit, officials said, because workers are needed with the activity that happens while the products are stored or transformed inside the zone. One company in Doña Ana County’s free trade zone received between $75 million to $100 million in merchandise and exported to a foreign country or foreign countries about the same amount in the 2012 calendar year, according to a yearly report from the U.S. Foreign-Trade Zones board. The only other FTZ in New Mexico is in Albuquerque, according to the report. While companies in Foreign Trade Zones may catch a break on tariffs due to the federal government, they remain obligated to pay the typical county property taxes; “personal property taxes,” which apply to manufacturing equipment; and sales taxes, McMahon said. “If it’s a $1 million building, they’d still end up paying property taxes,” he said. Revenue from those types of taxes goes to the state, the county and various other entities, to pay for a variety of public services. McMahon said the county doesn’t have an estimate about the potential economic impact of switching to the new model. But, given the relatively low cost to the county to do it and the timing of large-scale economic development projects locally, he said the proposal makes sense. He said Union Pacific Railroad’s progress on its south county-facility is continuing to stir up interest from other companies eyeing business possibilities in the area. In addition, as steam picks up at Spaceport America, which is located near northern Doña Ana County, FTZs could play a role in attracting companies in that region, he said. “This just seemed like a good time to do it,” he said, of the proposal. It’s been a trend that FTZs across the country are moving to the new model, McMahon said. If the county commission OK’s Tuesday’s resolution of support, that would authorize county staff to apply to the federal Foreign-Trade Zones Board for the expanded FTZ territory and the streamlined approval process for companies. That approval process could take several months. 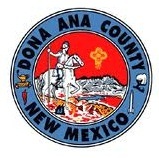 The county commission meeting starts at 9 a.m. Tuesday at the Doña Ana County Government Center, 845 N. Motel Blvd., Las Cruces.